Struggling movie-rental outfit Blockbuster is to make it even easier for its customers to rent movies, with the announcement of the company's first-ever set-top box. Made in conjunction with 2Wire, the MediaPoint will be a pay-as-you-watch media player. 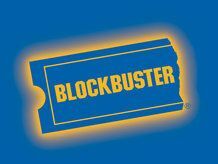 At the moment, the player is only available in the US, where Blockbuster users who sign up to a 25-film rental agreement – costing $99 – can get the player for free. After this initial payment, thousands of movie title are available to be streamed straight to a TV, via the box. The actual titles won't be available in HD. The movies will be streamed in DVD quality only. Users will be able to pause, play, rewind movies just like you would on any PVR. Speaking about the MediaPoint, Jim Keyes, Blockbuster Chairman and CEO, said: "The MediaPoint digital player, featuring Blockbuster On-Demand, is entertainment made easy. We are bringing Blockbuster, and the thousands of movies in our digital library, straight to customers' televisions. "The player is simple to use, delivers DVD quality video, and there's no monthly subscription commitment. We are delighted to team with 2Wire to give consumers this great entertainment product." There is no word as of yet, when and if the player will hit the UK.